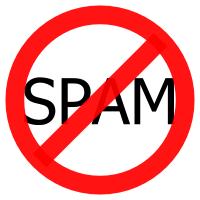 Contrary to what the following may sound like, this blog post is not spam. I repeat, this blog post is not spam. Hopefully, you will believe me when you finish (if you finish) reading. First of all, I want to thank all my Fabulous Family, Friends, Fans, and Followers (a.k.a. my F4Fs) for being so fantastic. (I actually thought of labeling you my Fantastic 4Fs, but thought that somebody like Stan Lee and company might take exception to that. Of course, the 4Fs stand for family, friends, fans, and followers.) Thank you for becoming my Facebook fans and Twitter followers. Thank you for chiming into the dialog on those sites and adding to the discussions. But most of all, thank you for reading. Especially, when I write about poop. And even when my writing is the poop. I must admit though, I am grateful that most of my F4Fs like what they read. At least they are not hating what I write and subsequently unfanning or unfollowing me. Mostly. As grateful and thankful as I am to have any fans at all, I must admit that I am a little greedy. I want more fans and followers. And since family tends to grow slowly, I would appreciate getting more F4Fs by word of mouth. Or better yet, by Facebook and Twitter words. I am not asking much. Just a few things. First of all, I want everybody to follow me on Twitter. I know. Twitter seems so different, but everybody is doing it. So if you are going to be a Tweeter (why users are not called Twitterers or Twits is beyond me, but that is another story), you may as well follow me (@MichaelTMiyoshi). Secondly, I was hoping to get more people to join in the fun of commenting on my road signs to my posts and on the posts themselves. Either on Facebook or Twitter. Recently, I had a bunch of people comment on one of the ticklers leading up to the post and just a comment or two on the post itself. This is much better than the days when all I had was imaginary readers (who cannot post at all to Facebook or Twitter), but I want more. Like I said, I am a little greedy. Greedy for readers. And developing community amongst my fans and followers is a big part of getting more readers. Besides, I actually like to hear any comments. Positive or negative. I really do. Lastly, I would really love to find out which of my blog posts are people’s favorites. I would love to see people post links to specific blog posts. I would love to see tweets and retweets of links to those favorites. I know that I have written lots of articles/posts about lots of different subjects. I would love to hear which ones, specific ones, people actually like the best. Notice how I did not ask you to send this post to everybody in your address book or to the editor of your local newspaper. (If I had done that, I guess you could legitimately call this spam. Unlike spam however, only I can delete it.) On the other hand, if you would like to do either of these things, I cannot stop you. Nor would I try. Thank you again, my F4Fs for reading (or at least pretending to read) my blog. Thank you for being my fabulous family, friends, fans, and followers. And thank you for reading to the end. I really hope you did not think you were reading spam.